Bodrum is a fascinating place as it has a pleasing contrast between the Ancient city - where there are discernible fragments everywhere in the town -and a playground for wealthy Turks and an array of foreign visitors. 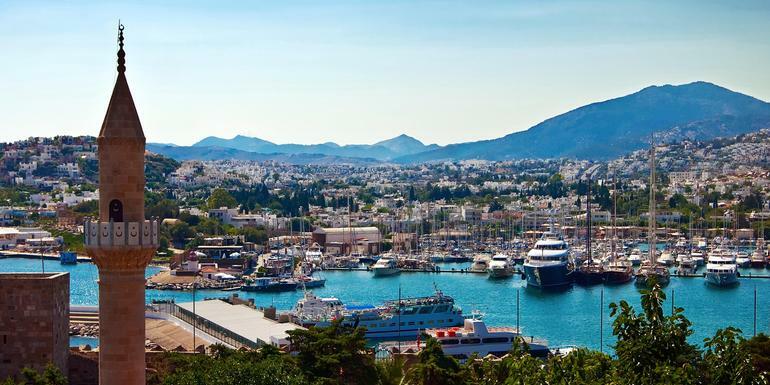 It is one of the centers of the Turkish Tourist industry and is the market town for the Bodrum Peninsula which consists of some towns and villages nestling on the edge of the Coast. Until the 1960s the town was a fishing village which changed when some Turkish intellectuals gathered and wrote about Bodrum. Most notable of these was Cevat Sekir 'The Fisherman of Halicarnassus', an Oxford Educated Turk who devoted his time to writing and planting numerous plants and trees which continue to dot the landscape of the Town. His book the 'Blue Voyage' describing Gulet trips around the Turkish coast, and his descriptions of the astoundingly clear Blue Seas of the Aegean and the delights of a trip around the shores adjacent to Bodrum inspired a whole generation who have come here to emulate his trips. 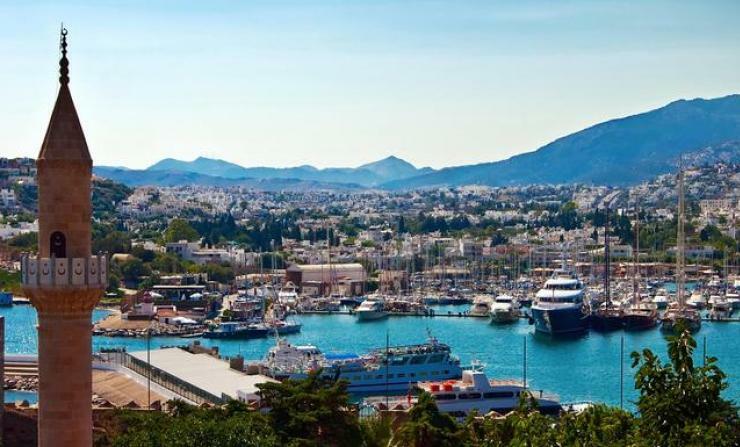 Bodrum has therefore grown as a sailing destination and thanks to its warm, but not humid climate has become a top destination for visitors who enjoy the combination of the ancient past together with all the usual tourist paraphernalia. There are large numbers of shops and restaurants - from humble cafes to exquisite Turkish cuisine served by an array of Wait Staff. Departure from Bodrum Cruise port. Departure from Rhodes Tourist port. Please be to the harbor 1 hour before the departure. After purchasing your ticket you will recieve a voucher email.